Millencolin is a punk rock band that was formed in October of 1992 by Erik Ohlsson, Mathias F?rm and Nikola Sarcevic in ?-rebro, Sweden. Fredrik Larzon (Fredrik Olof Larsson) joined the band in early 1993 which cemented the lineup. Millencolin as a word derives from the skateboard-trick melancholy (also known as "sad air") because of their passion for skateboarding. The band releases their CDs on the Swedish label Burning Heart Records. (releases on Epitaph Records in the US). Since 2003, the band hosts a skateboard contest at their own skate park in ?-rebro, Sweden. It's named the Millencolin Open. They say they started this annual contest because skateboarding is what brought them together and now they have the chance to bring something good to the town and to skateboarding. When they first started out, Millencolin sang in swedish and recorded a 10 song tape in 1993 called Melack. burning heart records then got back to Millencolin saying they wanted to release a CD single. Burning Heart had at that time only released two CD singles but they took their chance with the relatively unknown label. They recorded the six song CD-single Use Your Nose in November '93, which included new versions of Pain from Goofy and Melack. The single was very well received and they started to play more live shows. They put out their first major release, Tiny Tunes, in '94. The recording and mixing of the album took two weeks. Due to some issues with Warner Brothers the album was renamed in '96. Nowadays it's known as Same Old Tunes. Millencolin continued to tour and in '95 released their second full length album Life on a Plate, this is when Millencolin started to tour outside of Scandinavia. They ended up playing in Japan, Australia and Canada as their music began to reach a wider audience. A third full length, For Monkeys, and The Melancholy Collection (a compilation of the first two EP's + B-sides) followed, but only in 2000 when Pennybridge Pioneers came out did the band find their footing in the commercial music industry. The recording took six weeks in the studio and then the band started their first major worldwide tour; "Pennybridge Pioneers Worldwide Tour". Also, the song No Cigar was included on the Tony Hawk's Pro Skater 2 video game. 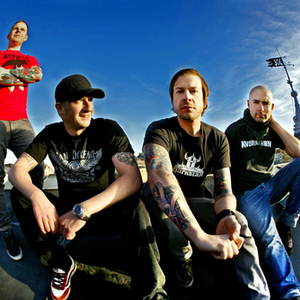 Millencolin wrote on tour and released Home From Home in 2002, including hit singles Kemp, Man Or Mouse and Battery Check. Yet again another world tour followed, gaining them a bigger fan base all over the world. Kingwood, released 2005, marked the band's return to a faster 'harder' punk sound. Millencolin have released new album Machine 15 in early 2008 and revealed plans to tour once again as well as being strongly rumoured to be playing the Lock Up stage at Reading and Leeds festival.